A major salmon producer says it no longer plans to randomly slaughter seals in Gardenstown harbor in Northeast Scotland. Scottish Wild Salmon Company had contracted marksmen to travel the shoreline shooting the animals to keep them from pillaging fishing nets, but after protesters vowed to form a "human shield" around the seals, the cull has since been canceled. According to the BBC, organizers from the wildlife protection group Sea Shepherd, which had attempted to disrupt the seal killing, the news comes as a "delight" -- adding that it "is only natural that the captured fish attract seals." 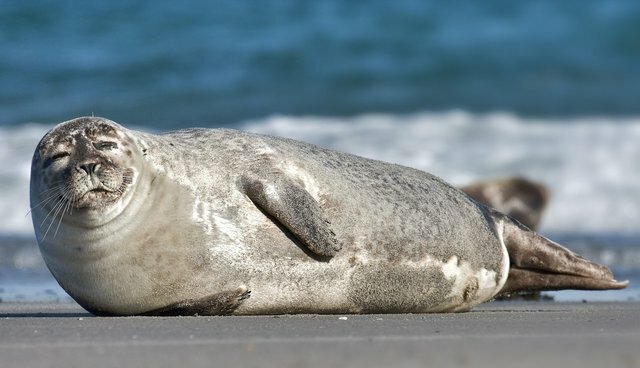 The fisheries company says it will now use only non-lethal means to drive hungry seals away from their fish stocks, like acoustic deterrent devices which repel the animals with sound. The Scottish government has given the company the authority to prevent seals from stealing fish, but shooting them outright is specified as a last resort.